The 8th annual San Diego contest went down flawlessly! 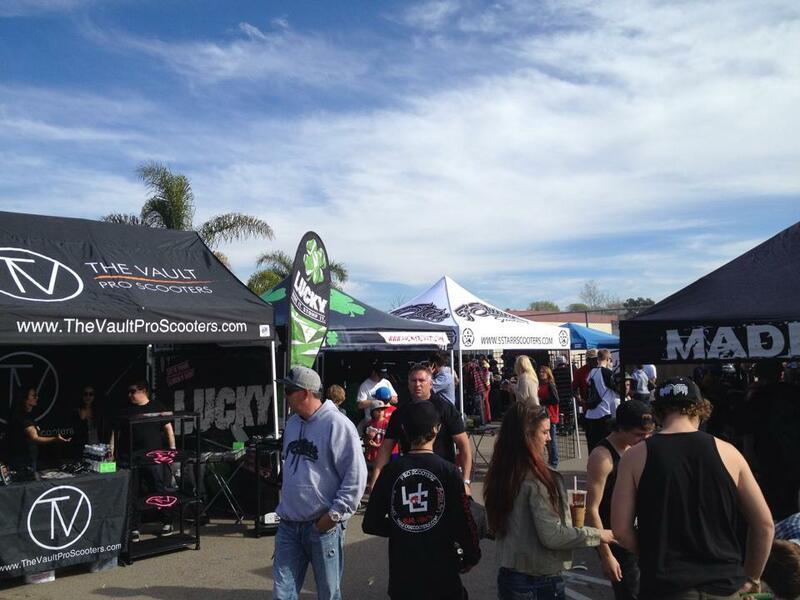 As you can see in the photo above, Lucky Scooters had a booth set up, showcasing all of the new, 2014 product line, as well as tons of Pro, Title and Flow team riders out there representing the brand. Lucky pro team rider, Dakota Schuetz got himself a podium spot when he received 3rd place in the pro division. Huge congratulations goes out to Kota for getting Lucky up on the board in the biggest and best scooter contest that the United States has to offer. Also, huge thank you goes out to all the Lucky riders out there who went out there and competed in the event! It was a rad day for scooters! I hope to see some footage from the contest soon so stay tuned scooter duders! If you haven't already, be sure to check out Lucky grip tape!